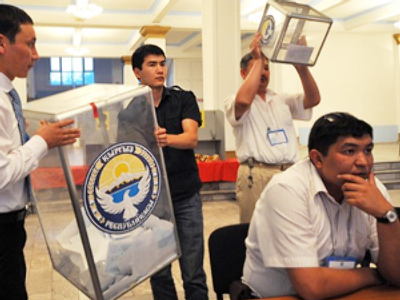 Voters in Kyrgyzstan have overwhelmingly approved on June 27 a new constitution that turns the country into the first parliamentary state in Central Asia. The turnout was more than 70% of the 2.7 million voters. The referendum was held by the interim government despite recent ethnic clashes in the country’s south. Many Uzbek voters boycotted the referendum or were afraid to leave their homes fearing violence. The government insisted the referendum was needed to establish power in the country. The current authorities accused former president Kurmanbek Bakiyev and his followers of instigating the recent clashes between Kyrgyz people and Uzbeks. 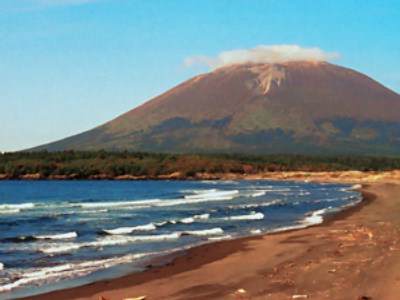 The south of the country is considered the Bakiyev family’s stronghold. Bakiyev, ousted during mass protests in April, was offered shelter by Belarusian President Aleksandr Lukashenko. Kyrgyz voters also supported the head of the interim government, Roza Otunbayeva, as the country’s interim president until December 31, 2011. The referendum showed that the country is “united,” Otunbayeva said. The vote placed the state on the path to democracy, she added. 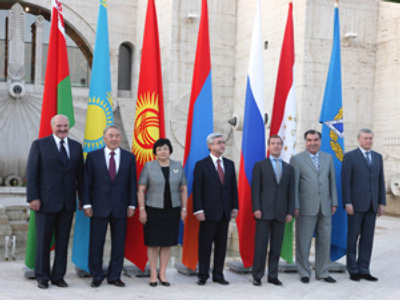 Otunbayeva said on June 28 that she was ready to form a new government in the shortest possible time. “Today I am being given presidential authority, and simultaneously I will head the government,” she said. 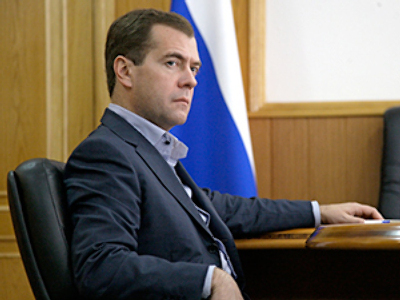 Russian President Dmitry Medvedev was skeptical about the prospects of the parliamentary republic in Kyrgyzstan. Speaking at the G20 summit in Canada, he warned the vote could allow extremists in Kyrgyzstan to seize power. Kyrgyzstan, which previously had a presidential system, remains Russia’s strategic partner, Kyrgyz people had to choose the political system themselves, Medvedev said. At the same time, he noted that the interim government was unable to impose order when the clashes erupted. Otunbayeva earlier had asked Russia to send troops to Kyrgyzstan, which hosts US and Russian military bases, to stop the violence. Moscow did not send peacekeepers and temporarily froze plans to establish a military training center in the south of Kyrgyzstan until the country has a legitimate government. 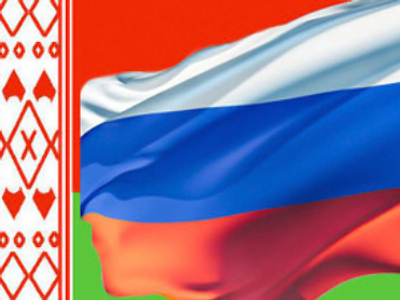 Russia had negotiated the issue with Kyrgyzstan’s former leader. The referendum may boost the interim government’s legitimacy, but Medvedev said he did not know how a parliamentary republic would look and work in Kyrgyzstan. The vote may evoke new problems such as reshuffles in parliament and power being passed from one political group to another, he noted. “Finally, will this not make it possible for forces with extremist views to take power?” Medvedev explained his concerns. The most unpleasant of scenarios for Kyrgyzstan is the collapse of the state, the president noted. To prevent it, the country should have strong and well-organized authorities, he stressed. Russia and the United States pledged last week to work together to promote economic development and stability in Kyrgyzstan. Moscow sent two more planes on June 25 with humanitarian aid to the areas affected by ethnic clashes. Violence broke out in the southern Kyrgyz city of Osh on June 11 and lasted for several days, spreading to the city of Dzhalal-Abad. The death toll has increased to 294 people, the authorities said. Many of the 400,000 ethnic Uzbeks had to flee their homes to Uzbekistan, but they are expected to return to their former neighborhoods.